Her designs bring us back to another time and place while keeping us modern and stylish. 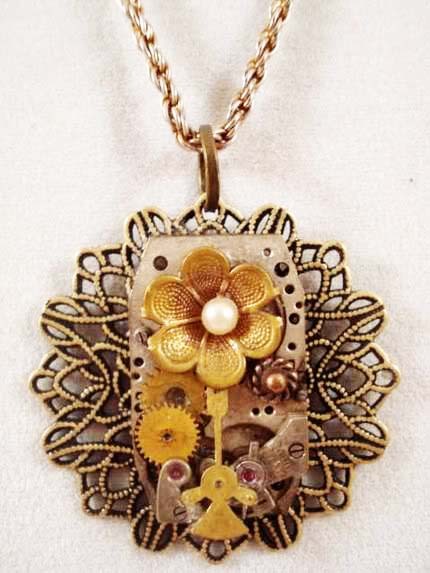 We are loving the gorgeous jewelry by Lisa Zamcho of Bright Fire Beads, especially her vintage timepiece creations and we’re thrilled that she’s going to be part of the 1st Annual Arts on the Square! My love for jewelry making started 24 years ago, when I was still in high school. Over the years I have learned to create jewelry from various mediums and techniques such as paper, beading on a loom, clay, bead weaving, soldering, and enameling metals. In 2000 I began selling some pieces at Kelly’s Hair Salon in Dunmore, Pa under the name BrightFireBeads. 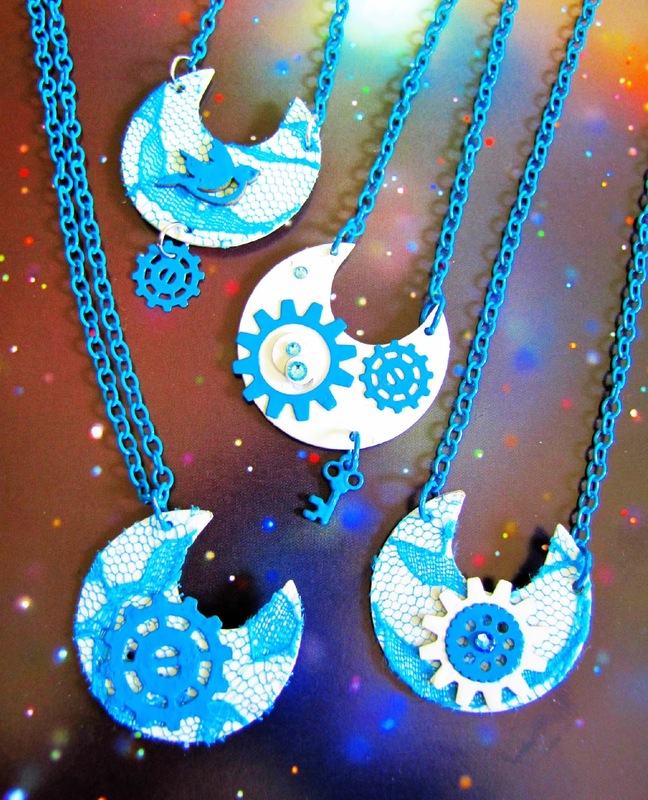 In 2003 I stared to incorporate time pieces with bead weaving that had a Steampunk vibe. Over the years I have shown my work at Scranton’s First Friday, home jewelry parties, 411 Studio in Olyphant , and on Etsy since 2008. I love the challenge of learning new things, especially when it comes to jewelry making. Instructions and helpful techniques for my craft were learned mostly by trial and error. However, I have learned many things through books, in a classroom setting and I have even found You Tube a useful tool for learning new tricks. What kind of materials do you use to make your pieces? How long do pieces generally take to make? Most of the materials used are antique pocket watch parts, vintage jewelry, and a few new components. It can take anywhere from a few hours to a few days to complete a piece depending on the details. I believe my work embodies the space where history, the present, and the future intersect. The watch parts I use can be dated back from the 1600’s to 1927. I feel these pieces carry with them vibrations like an echo, from the previous owners. That vibration is combined with Bright Fire components and something new is created. The jewelry I make is a bit of the past that will carry on into the future. BrightFireBeads will be featuring cosmically inspired adornments for the body and home. Every season I completely rearrange the studio. Everything gets reorganized; work areas are moved to a different position. I like to switch up the energy flow of the room once in a while so things don’t start to feel stagnant. Custom orders are always fun for me. Working step by step with someone to create special items for them is always a rewarding experience. Find us on Facebook and check out more photos of the studio, new items, jewelry making workshops taught by BrightFireBeads, and coupon codes : www.facebook.com/brightfirebeads.